Daniel Defense rifles were created at the turn of the 21st century by firearms enthusiast and lifelong shooter Marty Daniel, who had multiple ideas, concepts, and designs to greatly improve upon the classic M16 rifle design. Daniel Defense strives to provide the tactical rifle community with innovative configurations of their popular Daniel Defense M4 Carbine. What makes Daniel Defense Rifles Special? Continual improvements in the Daniel Defense product line guarantees that rifles from Daniel Defense Firearms are lighter, stronger, and a better value than other tactical rifles for sale on the market today. With state-of-the-art manufacturing and design facilities, cold hammer-forged rifle barrels, and a take-no-prisoners mentality, the Daniel Defense line of rifles for sale has become a major player in the commercial tactical rifle market. 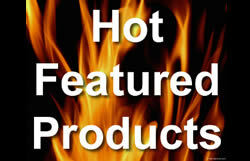 Daniel Defense is also an industry leader in the design and manufacturing of rifle rail systems and handguards. They are the provider of rails for the US military's Elite Special Operations Unit and the sole provider to the UK Ministry of Defense, and Daniel Defense users have consumed more than 50,000 rail systems in 2010 alone. The original Daniel Defense rifle, which created the definition of tactical perfection. Every aspect of this rifle from Daniel Defense was engineered with the professional and shooting enthusiast in mind, and it was built to redefine the benchmark in small arms performance. This precision crafted firearm will perform faithfully in any military, law enforcement, homeland security, or personal defense environment. This configuration of the Daniel Defense M4 carbine for sale is optimal for rifle shooters who value minimal weight. This rifle comes with a standard carbine length rail system and has all the extras that you would expect from a Daniel Defense rifle. In addition to the lightweight design of the firearm, the Omega X 7.0 rail system provides the rifle a more traditional appearance. The Daniel Defense DDM4V3 carbine combines the benefits of the original Daniel Defense DDM4V1 with the advantages of a midlength gas system. The M4V3 rifle is built around a 16 inch cold hammer forged rifle barrel and provides shooters with a 9 inch free float Omega X quad rail and a vertical foregrip for better weapon manipulation. This version of the Daniel Defense M4 is a complete rifle with Omega X 9.0 rail system and a 15 inch carbine hammer forged barrel featuring the Daniel Defense pinned low profile gas block. The DDM4V5 complete rifle comes with the Daniel Defense Omega X 12.0 rail system and 16 inch midlength hammer forged barrel featuring the pinned low profile gas block. Equipped with the EZ CAR 7.0 rail system and A1.5 fixed rear sight, the Daniel Defense DDXVEZ rifle is ready to be decked out with reflex optics and other gun accessories. The rifle comes for sale with the 16 inch cold hammer forged barrel and F marked fixed front sight base, as well as a flared magazine well on the lower receiver. The rifle from Daniel Defense also comes with a Magpul enhanced trigger guard, M16 bolt carrier group, and a rear receiver QD sling swivel attachment. 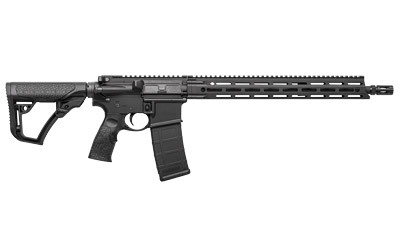 This rifle is one of the best multi-use rifles available from Daniel Defense Firearms. The DDV6.8 rifle is the ultimate rifle for sport shooting and home defense, giving shooters the stopping power of a 6.8 cartridge and the accuracy & durability of the cold hammer forged barrel. It comes with the Omega X 9.0 VFG rail and A1.5 fixed rear sight. 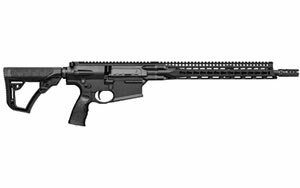 For more information on the full line of Daniel Defense rifles for sale, please see the Daniel Defense Firearms site.